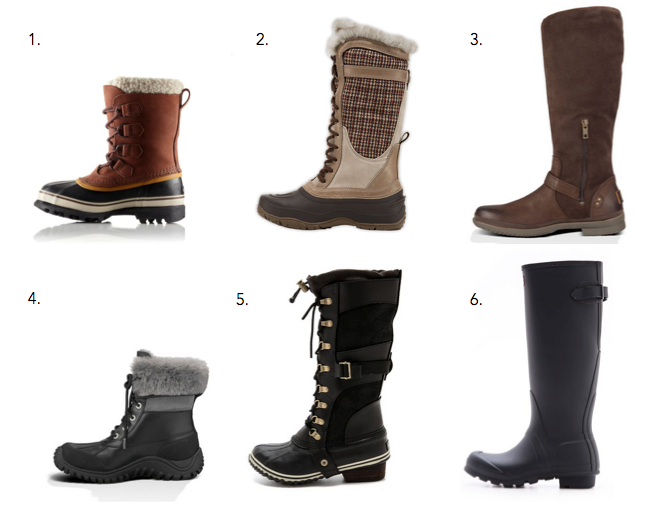 The Resident Tourist: Must Have: Winter Boots . . . Nothing is more disappointing than a weather forecast of wintery mix. I remember when I first moved to the East Coast (almost 10 years ago, ah!) I naively thought a wintery mix was nothing to fear. Little did I know that two seemingly sweet words could bring such awful weather conditions. The aftermath is particularly horrible here in the city, usually consisting of frozen sidewalks and the dreaded slush puddles. My cure for the wintery mix blues? A killer pair of winter boots. It's the only way to combat the elements. Here are a few pairs I've been eyeing to get me through the rest of the season.